This guy was so bad he was run out of Niagara Falls. Everyone got hit with bogus fabricated fire dept charges, and Jim Jessop had a great scam going. Asking for bribes, and if you didnt pay him, then you got hit with a bogus fire dept charge, that he made up. 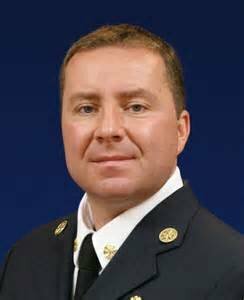 With all due respect Niagara falls has great fire fighters that serve the citizens well, its the bad apple like this Jim Jessop that ruins the trust and interaction citizens with emergency service personnel. I cant believe the province promoted this guy up the ladder, BUT then again he does make lots of money for the government, unfortunately its on the backs of the innocent and hard working citizens. I had heard from a lawyer friend that the bogus fines fabricated by Jim Jessop surpassed revenue from parking fines in Niagara. WOW! Glad Niagara Falls was smart enough to throw this guy out. As he was really dirty.